As the name suggests, Biomedics contact lenses are designed to supply excellent vision quality and exceptionally high levels of comfort. Made by respected optical brand CooperVision, they work in harmony with the eye and are one of the most natural-feeling lenses available today. If you want a high performance lens that ticks all the boxes, Biomedics is a smart choice. The Biomedics family of contact lenses is relatively small. 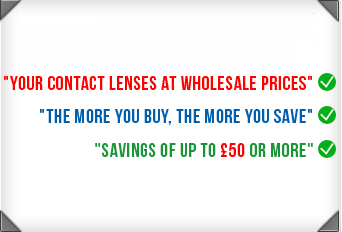 However, although there isn’t alot of choice, the lenses available do cover many eye health concerns and vision problems. Biomedics 55 Evolution for example are ideal for those with dry eyes, they control spherical aberration and offer UV-blocking. There are standard lenses for young first time wearers, aspheric and toric lenses in powers from +9.00 to -6.00. Choose between daily and monthly disposables. Most standard contact lenses can generally be worn for 12 hours and then start to feel dry and gritty. Some Biomedics lenses are suitable for up to 16 hours of continuous wear, which is great news for those with hectic lifestyles. Eye health is at the core of Biomedics lenses. UV-A and UV-B blocking helps to protect against the potentially harmful effects of the sun. Meanwhile, great oxygen permeability means eyes stay moist and protected from the damaging effects of oxygen starvation. CooperVision’s patented edge and thin design makes Biomedics contact lenses exceptionally comfortable. They slip in easily and fit naturally on the eye, staying in position but also allowing for the eye’s natural movement. As a consequence, they feel as comfortable in the first minute of wear as they do in the last. All Biomedics contact lenses feature a slight blue tint for ease of application.